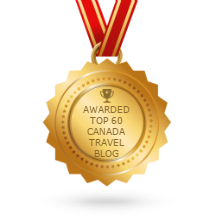 One of the most popular activities in Canada’s coastal towns and cities is whale-watching. So popular, that when you visit the harbours of Vancouver and Halifax, you’ll find several tour companies lined up waiting for you (remember though, we can book tickets for you as part of your holiday package). But in order to get the most out of any whale watching trip, we recommend that you research a few things first. Starting with the below. Where you go whale-watching really depends on what type of whales you’re looking to spot. Here’s a quick overview of the best spots on the west coast, east coast and even the north coast. If you’re heading out on an Alaska cruise from Vancouver you’ll very likely see whales from your stateroom. But if you’re choosing to stay on-land in British Columbia, we have a few suggestions on where to look. Robson Bight Ecological Preserve on Vancouver Island is Canada’s only killer whale sanctuary. Roughly 200 killer whales pass through its misty shores. Boat tours start from Telegraph Cove. And take about three hours. 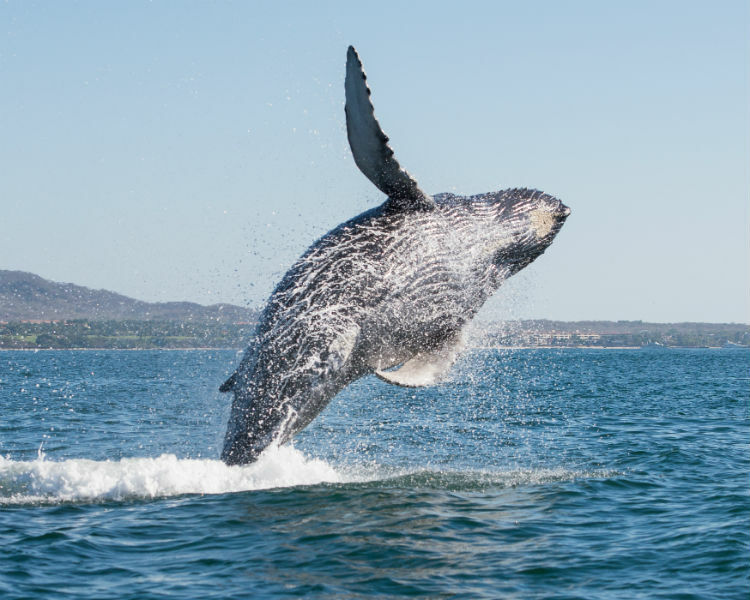 Tofino Bay is another popular spot – this time for grey whales. They pass by this bit of land when they migrate to Alaska in the summer months, with March being the peak season. Several whale-watching tours depart from Tofino, and the whales come so close to land that you might not need to sail very far. While the west coast is very popular for whale-watching, it’s actually Canada’s east coast that boasts the highest numbers. Atlantic Canada is actually home to 20 whale species that even populate the inland coves so you don’t have to right out into the ocean to see them. The waters of Newfoundland are surrounded by whales on a daily basis, but Witless Bay Ecological Reserve is one of the best places. Humpbacks and minkes are the main residents, but you’ll meet a wide range of rare seabirds. Icebergs are also known to float by in early summer. Saguenay River is another place popular with krill that attract hungry whales. Humpbacks, minkes and blue whales are popular here – but white belugas are also known to pop up even though they are usually only seen in the Arctic. 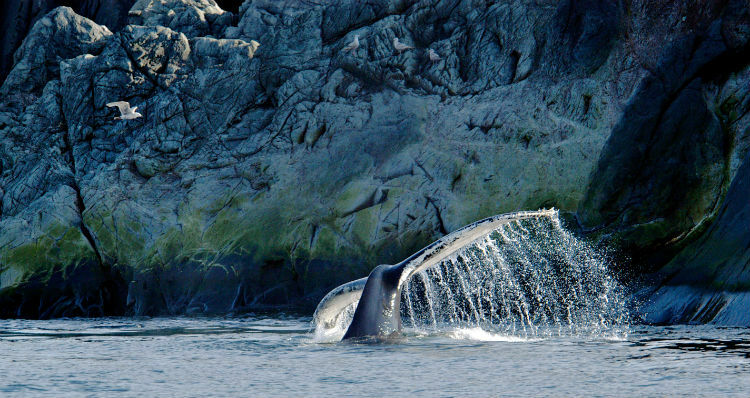 The Bay of Fundy – with the world’s highest tide – is rich with fish and other whale food. Finbacks, humpbacks and minkes are regularly seen dining within the waves – as is the rare right whale. If you don’t fancy a boat ride, head to Cape Breton Highlands in Nova Scotia as pilot whales are regularly spotted from the shores. Zodiacs and boat trips are available if you want to see finbacks and humpbacks. 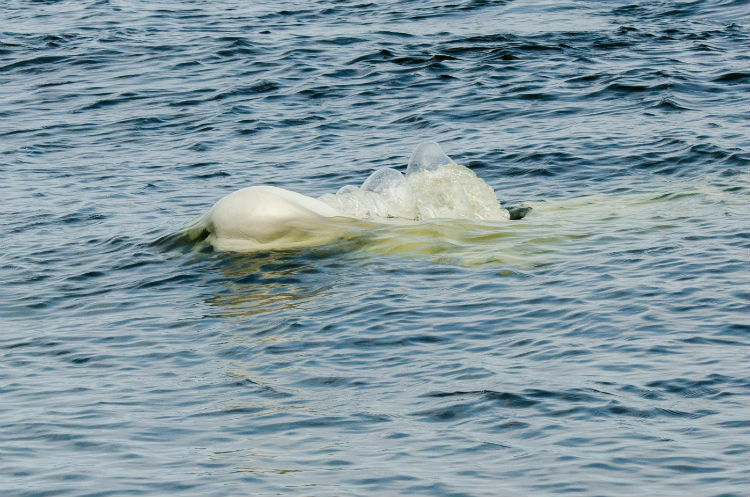 If it’s belugas you want to see, however, it’s the Arctic waters that you’ll need to head to. Churchill in Manitoba is the prime location for spotting beluga whales (and polar bears), where you can book kayaking and boat trips. Hard-core types can also opt for a snorkelling sessions (while wearing an ultra-thick wetsuit). The Arctic Coast is also home to the Narwhal, but you’ll need to travel further north to Nunavut in an expedition-like trip to spot them. They’re the world’s most northern whale and rarely travel further south than 70° north, even in the summer. Even if it’s warm on land it will get cold out at sea, so we recommend wearing warm clothes. Layers are recommended so you can add warmth as you head further out, and then remove them as you come back to land. We suggest a fleece, jumper, trousers, gloves and hat. It’s also wise to wear sunscreen, and pack sunglasses and binoculars. Camera-wise it is recommended that you bring a super-zoom camera, as (to be honest) a phone camera will not likely be able to pick out a whale in the ocean. Many whale-watchers decide to enjoy the moment for itself instead of capturing on film.